Crime • Coroner identifies Cheryl Baker as wife of man wanted in the deaths. In this undated photo released by the Canyon County Sheriff's office shows suspect Gerald "Mike" Bullinger, formerly of Ogden, Utah. Canyon County Sheriff's Chief Deputy Marv Dashiell says Bullinger, is considered a person of interest in the murders discovered Monday, June 19, 2017 at a Caldwell, Idaho home. A sheriff's deputy found the bodies hidden in a shed after family members from out-of-state called to ask that someone check on Bullinger and other family members who had recently moved to the tiny Idaho farmhouse. (Canyon County Sheriff via AP) Kimberlee Kruesi | The Associated Press Authorities investigate a scene in Caldwell, Idaho, last week. Police say three people were found dead inside a home and the Canyon County Sheriff's office is investigating the deaths as possible homicides. Caldwell, Idaho • Authorities say one of the three women found shot to death near a rural southwestern Idaho farmhouse has been identified as the wife of a man who is wanted in connection with the case. Canyon County spokesman Joe Decker announced Friday that the Canyon County Coroner&apos;s office used dental records to positively identify the remains of 56-year-old Cheryl Baker of Ogden, Utah. Investigators still are working to identify the other two victims. 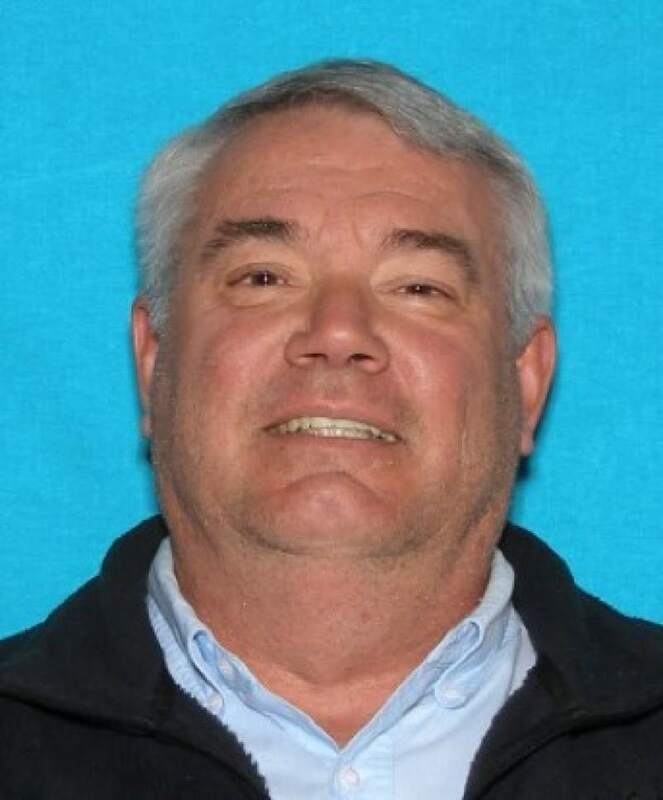 A nationwide manhunt is underway for Baker&apos;s husband, 60-year-old Gerald "Mike" Bullinger. He is charged with failing to report the deaths, and police say he is a "person of interest" in the homicide investigation. 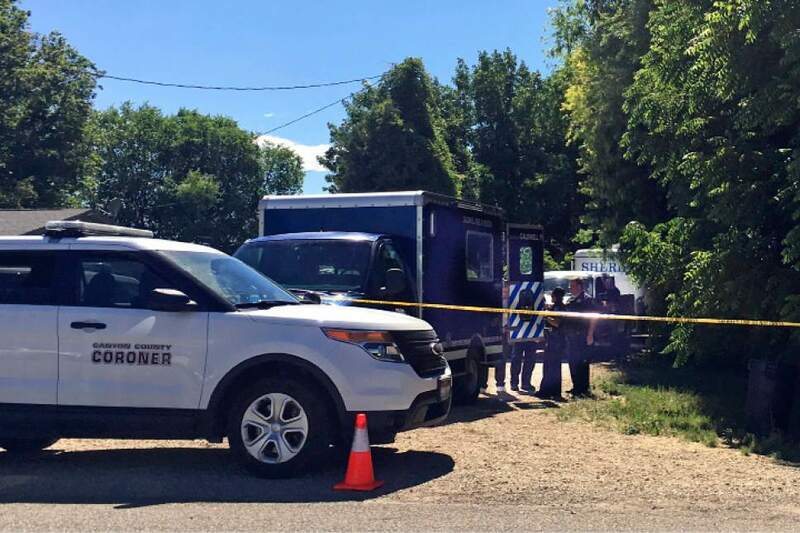 A sheriff&apos;s deputy found the badly decomposed bodies of Baker, a teenager and another adult woman in a shed on property in Caldwell, Idaho, that belonged to Baker and Bullinger. Each of the victims died of a single gunshot wound.